TIP: Double the stuffing you make and freeze your extra portion. You can cook it on it’s own and serve it with any leftover turkey. 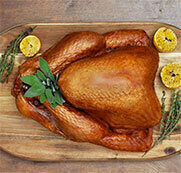 Rub the turkey with olive oil, salt, pepper and dried herbs, inside and out. Stuff the cavity loosely with stuffing. Place the turkey into a roasting pan. Add the wine and the broth. 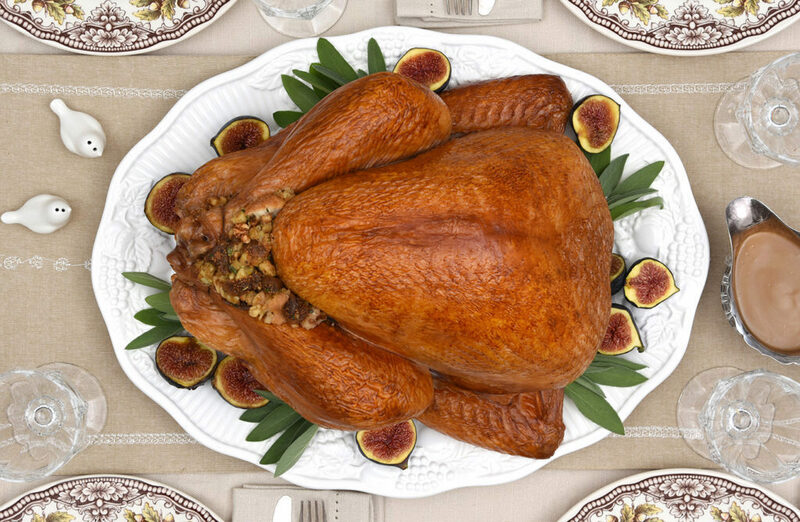 Roast the turkey for 3 3/4 – 4 ½ hours, until the juices run clear and an instant thermometer reads 180°F in the thigh and the stuffing reads 165°F. Sauté onions and celery until cooked through and browned, 8-12 minutes. Deglaze with white wine and cook an additional 3-5 minutes. Set aside to cool. Add beaten eggs to broth. Combine all stuffing ingredients in a bowl and mix.